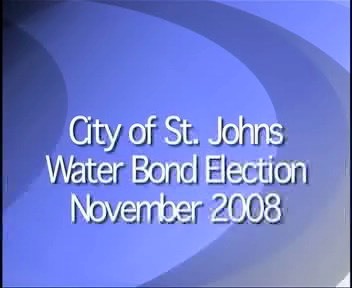 The St. Johns Water Challenge | LL DECKER & ASSOCIATES, INC.
Like most towns the City of St. Johns is responsible for supplying residents with clean, safe water. This job isn’t always easy. About ten years ago the City’s water contained high concentrations of radium which government regulators said had to be removed. Voters approved borrowing the money to build the water treatment plant. Now, the City must improve its water system, again. Residents are being asked to approve a general obligation bond financing plan to develop a new well and install a new water transmission line.